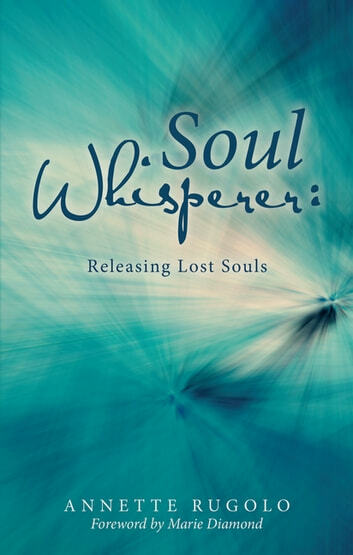 In her groundbreaking book, Soul Whisperer: Releasing Lost Souls, author Annette Rugolo presents a new perspective into the world of spirits, past lives, and soul retrieval. Through the sharing of her real-life experiences, she offers a glimpse into a world that exists around us, which few are open and willing to see. She presents an introduction to spirits of the deceased that remain in this world, how we encounter them, and how to help free them from being stuck here. Through her stories, Rugolo gives a clear sense of what these encounters are like, what we can learn from them, and how to recognize and deal with them if they happen. She also demonstrates the value of soul retrievals, freeing spirits, understanding karmic history, and other related subjects. Rugolos purpose and passion in life has been to take others from a place of fear to one of understanding and compassion for the souls trapped among us. In Soul Whisperer, she guides you to embrace both yourself and others as a soul who exists beyond the physical construct of our reality.